Description: For those who like to exercise day and night, the all new DASH SPORTS cap incorporates reflective trimmings for ultimate safety and visibility once the sun goes down. Made from premium microfiber and designed with side mesh panels, the DASH SPORTS cap is the best choice for maximum breathability and comfort. 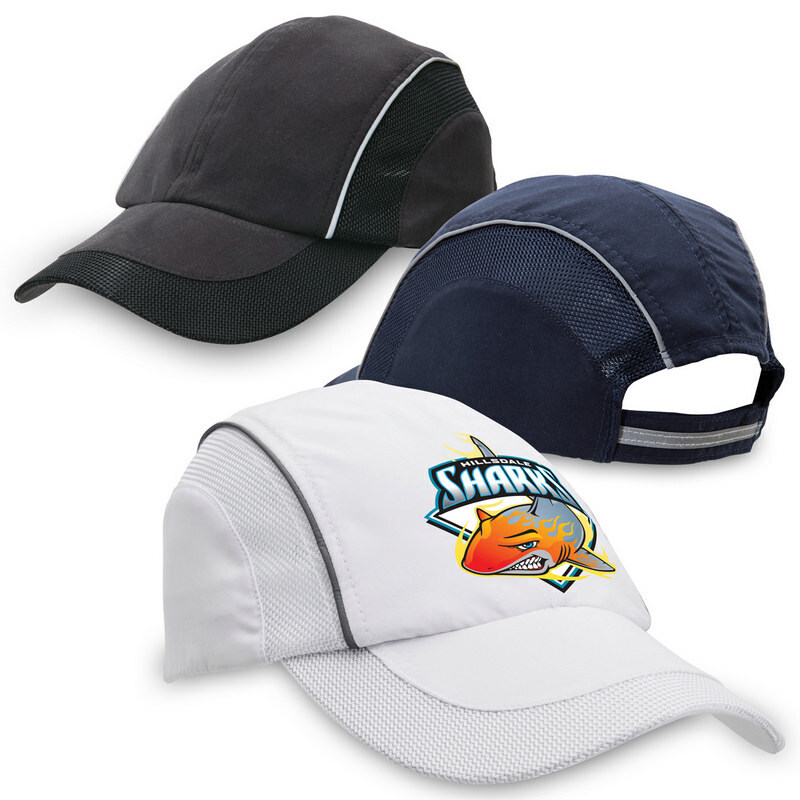 Unstructured 6 panel design | Microfibre fabric with mesh trim panel around peak and along sides | Reflective piping running along top of mesh side panels | Pre-curved peak | Comfortable towelling sweatband | Velcro touch closure with reflective strip. Colours: Black | Navy | White. Decoration Areas: Embroidery | Supacolour | Supasub | Supaetch.